In November 2011, 82-year-old Maureen Quinn was found malnourished and dehydrated lying on the sofa with maggot infested leg ulcers. Medical staff said it was the worst case of neglect they had seen and Maureen died six weeks later. Joanne Quinn (right), her eldest daughter, was charged with failing to provide the necessaries of life and in May 2014 was sentenced to two years and six months in prison. Here’s another case of neglect which has not received the same level of public attention. 30-year-old Jai Davis was admitted to Otago prison on remand on Friday 11 February, 2011. He also needed medical help, but he died two days later because prison staff couldn’t be bothered taking him to the hospital. They never even called a doctor. Here’s what happened. Mr Davis (right) was connected with the mongrel mob. and gang members in the Otago prison wanted drugs brought in. They were aware that Mr Davis had assaulted his girlfriend and was likely to end up in prison again. Corrections have a documented procedure for dealing with “prisoners suspected of internally concealing an unauthorised item.” It requires the prisoner to be taken to a dry cell (one with no toilet or running water) and “a medical officer (the prison doctor) is to be informed”. Davis was remanded late on Friday afternoon so there was no doctor was on duty. Doctors are seldom on duty in New Zealand prisons – see Prison deaths linked to Corrections refusal to employ sufficient doctors. Because management suspected Mr Davis of concealing drugs, the acting prison manager signed a document stating she would advise the prison doctor of the situation. She never did. Over the course of the weekend, officers and nurses observing Mr Davis noticed him staggering around in his cell apparently under the influence of drugs. “At approximately 16:00 hours (4 p.m. on 13 February, the day he died), Mr Davis was seen by the nurse, who had been informed when she came on duty that Mr Davis was suspected of concealing drugs and that was why he was in the dry cell… Her assessment of Mr Davis at this time was that he was under the influence of some drug because of the slow movements that he was making” (para 171). “The PM Nurse had a conversation with the unit officer where she stated to the officer, Mr Davis ‘looks stoned’ “ (para 172). Mr Davis was more than stoned. The autopsy report shows he died from the combined effect of ingesting codeine and benzodiazepines. At about 7.30 that evening one of the officers responsible for observing Mr Davis became concerned about his deteriorating condition. He called the nurse and asked her to come and check on Mr Davis again. The nurse was about to finish her shift at eight o’clock and replied that she had already seen the ‘little fucker’ earlier in the day. She had a dinner date organised and refused to go. Mr Davis died about three hours later – at 10.30 that evening. In other words, around the critical period when Mr Davis stopped moving, the prison officer who was responsible for checking on him failed to do so – and then falsified documents claiming that he had. See Prison records ‘ghosted’. 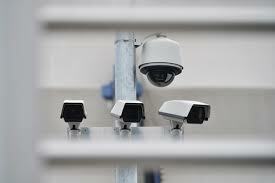 It was not until 5.00am that an officer became concerned that Mr Davis didn’t seem to be moving. When they finally entered his cell to rouse him, rigor mortis had already set in indicating he had been dead for hours. Corrections Inspector David Morrison concluded that at least seven different prison protocols had been breached. Let’s compare Mr Davis’s case with a couple of other cases. In August 2010, a mother in Auckland was charged with murder but found guilty of manslaughter after her 13-month-old baby drowned in the bath while she left the baby unattended for 15 minutes. She was sentenced to 17 months in prison (on appeal). In October 2013, a Wellington mother was charged with manslaughter after her baby also drowned in the bath while she made a phone call which lasted 6 minutes. She was found not guilty. Each of these women had a vulnerable family member in their care for whom they were responsible. After a thorough police investigation, they were charged with manslaughter, murder or ‘failing to provide the necessaries’ because in each case they failed to protect the one who died. 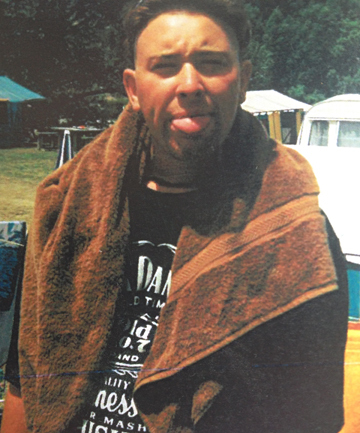 In Mr Davis’ case, Otago prison also had a vulnerable person in its care – and also failed to protect him. But for two whole years the police did absolutely nothing. An investigation only began after a formal complaint was made to the IPCA. The Police eventually put ten officers on the case and interviewed over 70 Corrections staff – some of whom had gone to Australia. The investigation took 12 months – but in the end, no one was charged with anything. 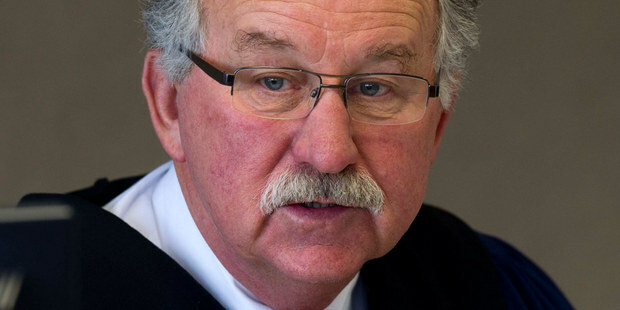 According to Radio New Zealand, police claimed “there was ultimately not enough evidence to meet the threshold required to run a successful criminal prosecution”. Yeah right! There are at least four possible reasons why no one was charged. The first is that Mr Davis was a prisoner, perceived by the public as a second-class citizen – and prisoners deserve what they get. Maybe that’s why the police took so long to start their investigation. The second is that a number of people were involved in monitoring Mr Davis over the weekend and no one person was ultimately responsible for his death. That’s easily solved. Bring charges against everyone and let the jury decide. “As there was clear knowledge that this person was concealing drugs, why did he come here in the first place? The prison is 45 minutes away from a hospital. If drugs had exploded in the prisoner’s gut, we would not be able to get (him) to the hospital in time. If there were serious concerns that this man had drugs on board, he should have been held in hospital under guard where he could be treated quickly if things went wrong” (Corrections Inspector’s report para 195). The fourth possibility is that there has been political interference. 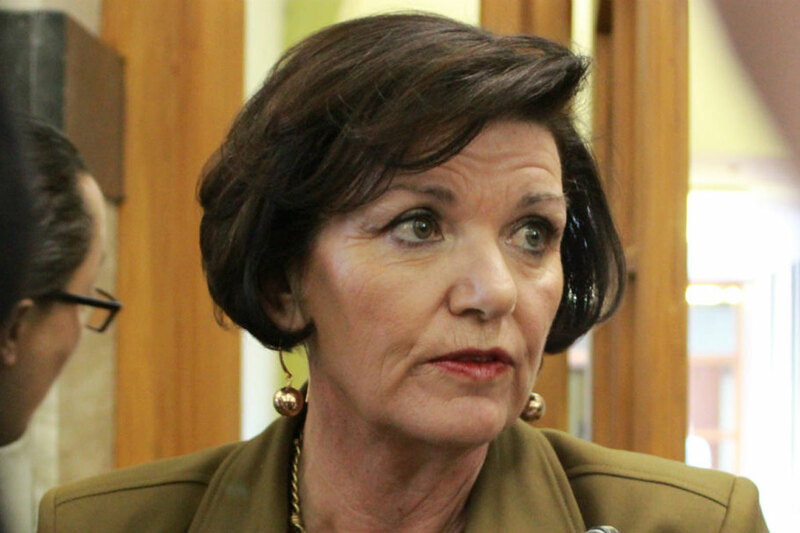 Anne Tolley is Minister of Police and Corrections. She was aware of Mr Davis’s situation at least as far back as Septem- ber 2013. See Prison deaths investigated. She and Police Commissioner Peter Marshall took a keen interest in the case and were kept informed of developments by Dunedin Inspector Greg Sparrow who was in charge. Inspector Sparrow also kept Mr Davis’s mother, Victoria Davis, informed – and Victoria thought that someone at Corrections would eventually be charged. But once the investigation was complete Ms Davis was told that Inspector Greg Sparrow had suddenly gone ‘on leave’. He was replaced by Detective Inspector Steve McGregor who seems to be higher up in the police chain of command. Peter Marshall and Anne Tolley are at the top of the chain. Given the extraordinary decision that no one will be charged, it may well be that Anne Tolley has also crossed the line and interfered with a police prosecution. After the Judith Collins Oravida scandal and the resignation of Maurice Williamson, the last thing National wants to see is Police prosecuting Corrections over the death of a prisoner a few months out from the election. All four of these possibilities are worthy of investigation – whether that’s by the coroner, the IPCA or the media. The inquest into Jai Davis’s death will be held from 3rd to 7th November, 2014 – but it seems unlikely the coroner will examine the big picture – despite the fact that Mr Davis’ death in prison is not an isolated case. Over 80 prisoners have died ‘unnatural deaths’ in custody in the last ten years – but not one prison officer, prison nurse or prison manager has ever been charged with anything. If the police fail to investigate prison deaths, and never press charges against anyone – a conspiracy theorist might conclude that Corrections and the Police are involved in a cover-up. Eighty dead bodies kept under wraps – the whole thing stinks. Compare this with deaths in the forestry industry. On average about five forestry workers die every year and companies which fail to protect workers are often ordered to pay significant compensation. Four days ago, Coroner Wallace Bain (right) called the death rate in the forestry industry “alarming” and said “New Zealand’s health and safety record is extremely poor”. About five prisoners also die unnatural deaths in the care of the Corrections Department every year. In 2011, eleven prisoners died – but no one bats an eyelid. Why? Because they’re only prisoners, so who cares – and no one is really looking anyway, including the police. In Jai Davis’ case, the police eventually did have a look – but then they closed their eyes again.